His private classes have so much to offer for an individual. 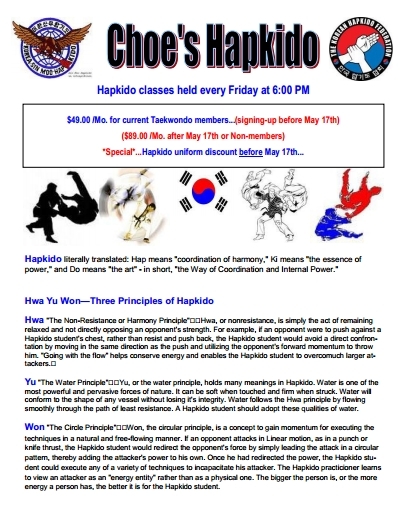 Not only will his foundation of Taekwondo and Hapkido cover all the curriculum thoroughly, but he will be able to concentrate and focus on the person in 1 on 1 setting. 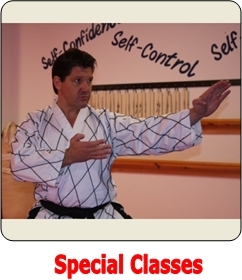 Also based on the private student’s interest, his private classes can cover vast range of teachings such as Weapons, Practical Self Defense, Competition, Body Transformation, Flexibility, Pressure Points, Overall Health and etc. Major emphasis in his teachings are improving people’s mental/physical health and to release stress in our demanding world. His private students range from just 4 year old child to 76 year old elderly. He has taught private lessons to all types of people such as Law Enforcement, Lawyers, Doctors, School Teachers and numerous Martial Art instructors! Yes he even teaches Martial Art instructors from other schools seeking his deep knowledge in Martial Arts! If you are interested in taking private lessons, please schedule an appointment with Grandmaster Choe and start developing your goals!